The heavy-duty understructure of this digital waist-high scale incorporates a fabricated lever system that is enhanced by precision-ground, pressed-in knife edges which eliminate friction. 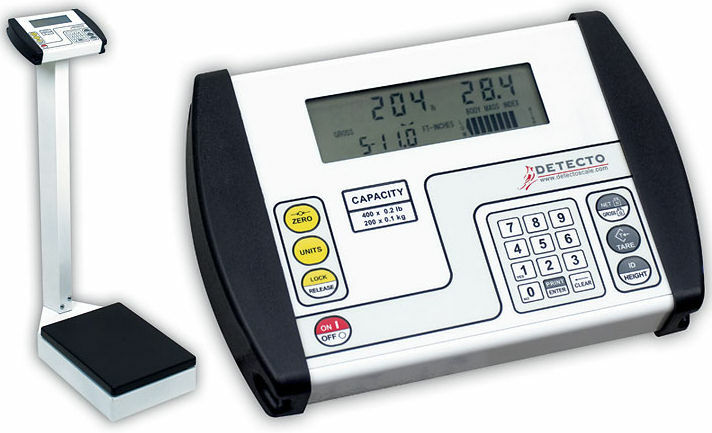 This scale also features "at-a-glance" convenience of the battery-powered LCD display. Display functions include auto off/release of display, automatic zero, and motion detection. With the push of a button, readings appear in pounds OR kilograms. 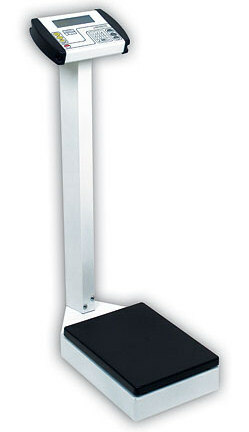 The 8437 features Body Mass Index calculation. The platform cover is easily removed for cleaning. Metric only models also available.